Home of the former Director General of the Ordnance Survey, this striking and historically significant building holds a prominent position in Southampton overlooking The Avenue. The Workstation, Southampton offers a total of 35 private office suites all varying in size and spread over the lower ground, ground, 1st, 2nd and 3rd floors. 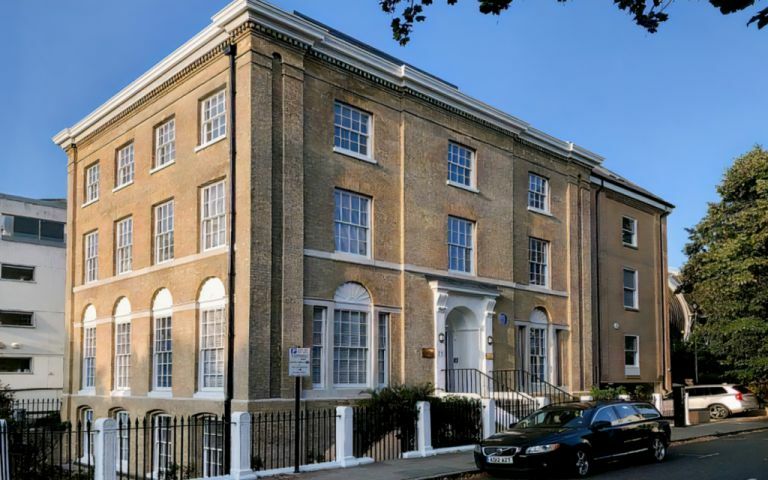 Conveniently placed just on the outskirts of Southampton City Centre with easy access to the M3 and M27, the Director Generals House is an impressive Grade II Listed Regency building which dates back to the 1800s. With the addition of a sympathetic extension, our Southampton business centre offers a range of contemporary open-plan and cellular office space over 5 floors. The office building has 3 floors and is in a building full of history and charm. It faces out over the hospital and Brinton’s Terrace.